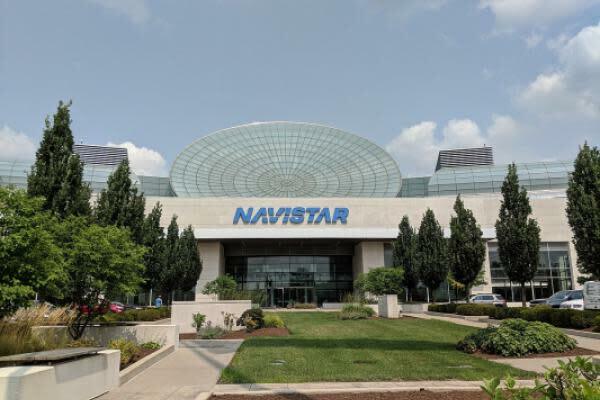 Backed by portfolio improvements, Navistar International Corp (NYSE: NAV) has gained significant market share, generated attractive margins and improved its balance sheet, according to RBC Capital Markets. While these company-specific developments are positive, they will not make Navistar immune to the expected decline in North American industry demand in 2020, in the sell-side firm's view. RBC Capital Markets’ Seth Weber maintained a Sector Perform rating on Navistar and raised the price target from $32 to $34. The leading truck manufacturer reported first-quarter adjusted EBITDA of $173 million Friday, significantly ahead of the consensus estimate of $135 million. Revenue came in at $2.43 billion, representing 28-percent year-on-year growth and beating the Street’s $2.18-billion projection. Navistar raised its FY19 revenue guidance from $10.5-$11 billion to $10.75-$11.25 billion. The company expects to grow its market share to 19 percent, and the order book suggests that 2019 is largely sold out, Weber said in a Sunday note. RBC raised the EBITDA estimates for FY19 and FY20 from $865 million to $895 million and from $795 million to $805 million, respectively. "The looming cycle downturn” could weigh on sentiment, the analyst said. Navistar shares were up 1.86 percent at $34.47 shortly before the close Monday.